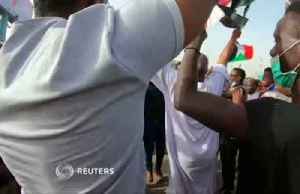 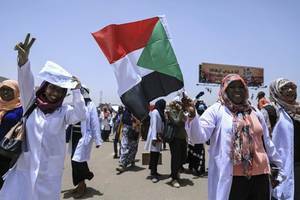 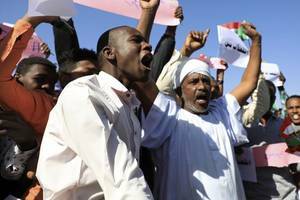 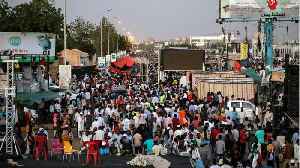 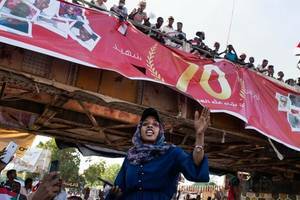 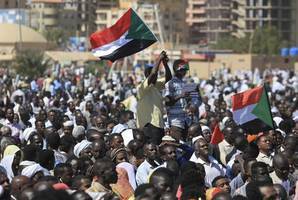 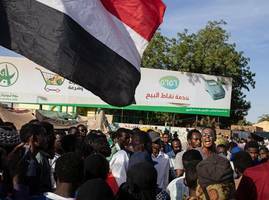 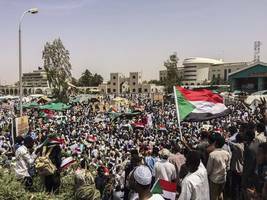 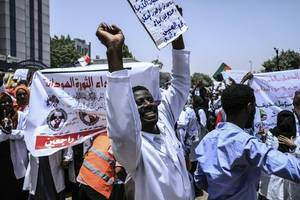 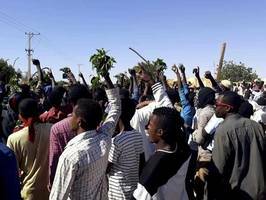 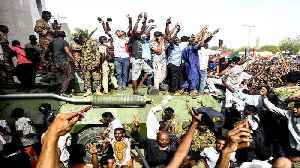 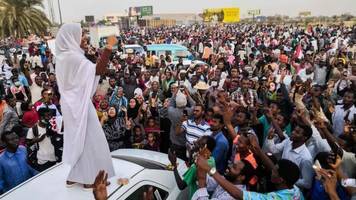 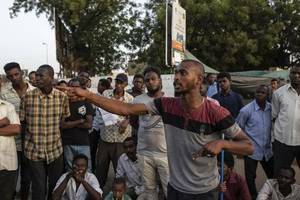 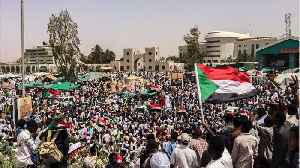 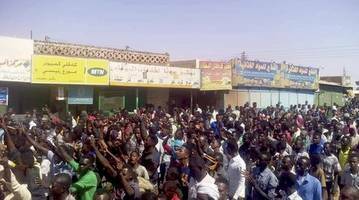 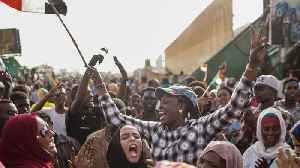 A huge crowd massed outside Sudan's Defense Ministry on Thursday to demand civilian rule, a Reuters witness said, challenging the Transitional Military Council that removed President Omar al-Bashir.. 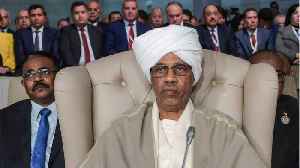 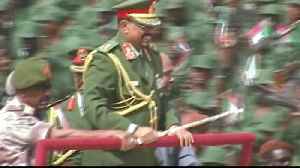 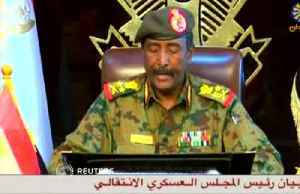 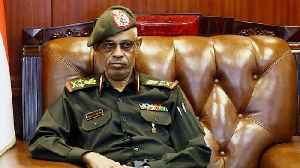 According to a report by Reuters, on Friday, Sudan's Defense Minister Awad Ibn Auf said that he would be stepping down as head of the country's transitional military council, just one day after former.. 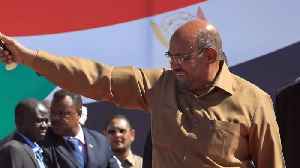 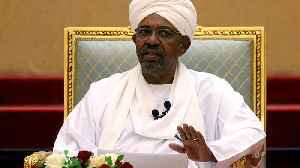 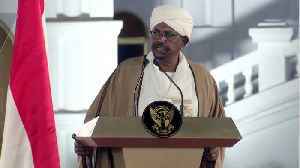 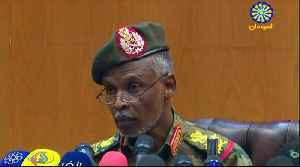 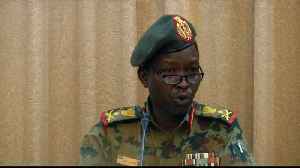 The head of political military council that overthrew President Bashir says new government will be run by civilians. 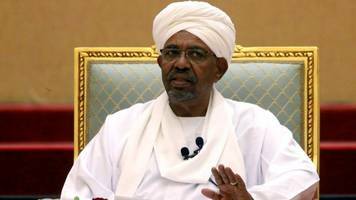 The Sudanese military ousted longtime president and strongman Omar al-Bashir on Thursday, but a transitional council says it will not extradite him. 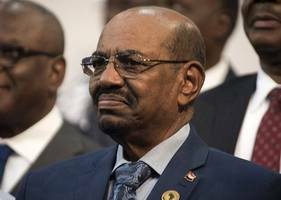 However, Reuters reports the head of the council’s.. 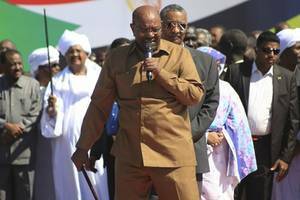 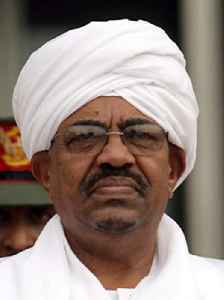 Longtime Sudanese strongman Omar al-Bashir was ousted on Thursday in a classic military coup. 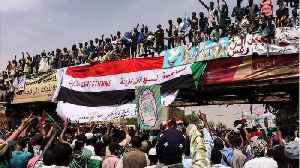 Now, CNN reports the citizens who opposed his regime are facing the prospect of a long struggle ahead, as.. 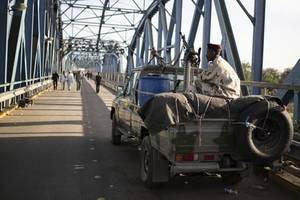 According to Reuters.com, "Sudan’s ruling military council expects a transition period it announced on Thursday to be two years at most, and said it can be as short as one month if it is managed..
Defence Minister Auf says Bashir is arrested, adding that a transitional military council will rule for two years. 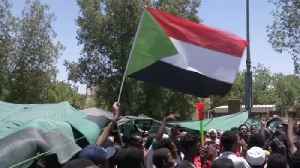 Protest leaders have called for a huge demonstration on Thursday in the capital Khartoum Huge crowds are expected to join a "million-strong" protest march Thursday in Sudan to turn up the heat on the..
By Michael Georgy and Khalid Abdelaziz KHARTOUM, April 24 (Reuters) - They come from all walks of life, of all ages and many political persuasions. 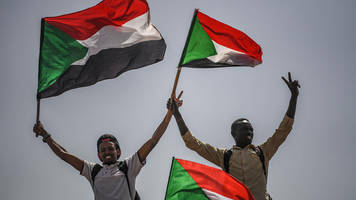 But the thousands of protesters sitting outside the..
Sudanese protesters have continued to demand a civilian government since the military ousted president Omar al-Bashir ealier this month African leaders at an emergency summit in Cairo urged Sudan's..
KHARTOUM, April 23 (Reuters) - Protesters from the birthplace of an uprising that toppled Sudan's former President Omar al-Bashir were converging on the capital on Tuesday, activists said, to pressure..
KHARTOUM, Sudan (AP) — Sudanese activists are calling for nationwide protests to press the military to hand over power to a civilian authority after the overthrow of President Omar al-Bashir..
Alaa Salah is a Sudanese woman who gained internet fame after images of her leading protest chants against President Omar al-Bashir went viral. 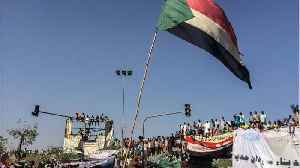 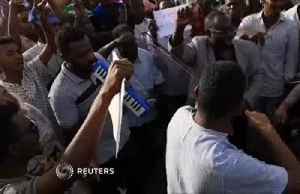 FRANCE 24 spoke to her about the demonstrations and what..
KHARTOUM - Sudanese protest leaders Sunday suspended talks with military rulers, after the army failed to meet their demand for an immediate transfer to civilian rule. 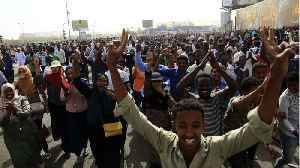 The protest leaders had planned.. 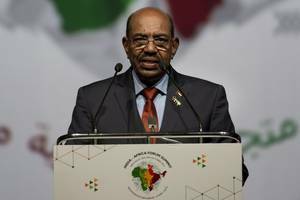 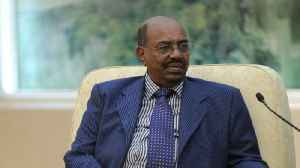 Prosecutors have begun investigating ousted Sudanese President Omar Al Bashir on charges of money laundering and position of large sums in foreign currency without legal grounds. 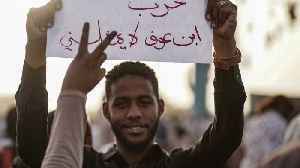 A judicial source said.. 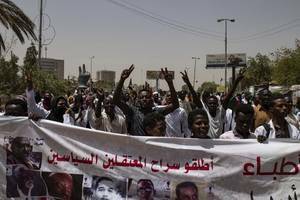 Hundreds of thousands of demonstrators massed around a sit-in outside the Sudanese Ministry of Defence on Friday in the latest round of protests to push for civilian rule since Omar al-Bashir’s..
KHARTOUM, Sudan (AP) — Sudanese protest organizers say they will announce an interim ruling council they want to see take over from the military that ousted President Omar al-Bashir after months of.. 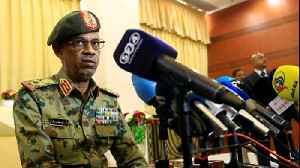 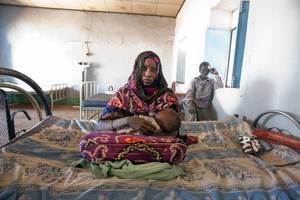 The United States State Department called on the Sudanese military to move aside in order to have a civilian-led transition after longtime President Omar al-Bashir was removed from office last week on..